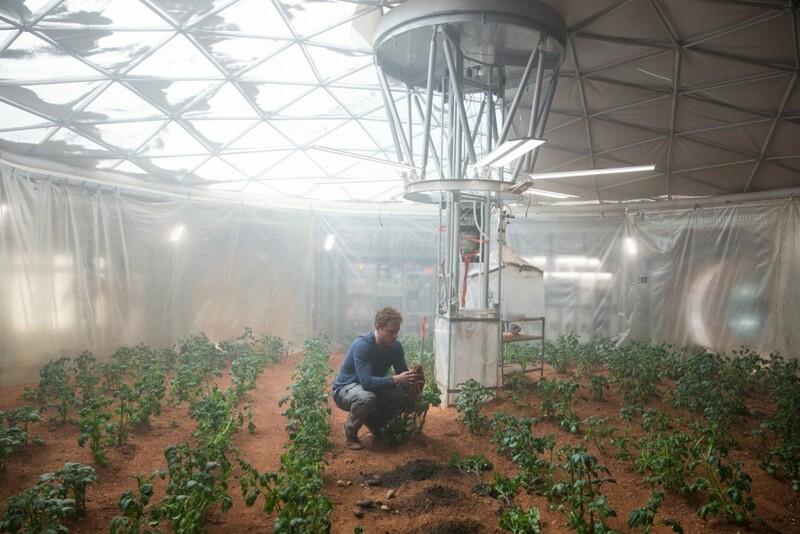 Whilst on a Mars mission, astro-botanist Mark Watney (Matt Damon) is caught in a fierce space storm and is left behind believed dead. His crew make the tough decision to leave unaware that Watney is still alive, leaving him stranded on a planet with limited resources, using only his scientific wits to survive while a team at NASA figure out how to get him home. As Scott's 23rd film, it seems he's finally starting to have a little fun. 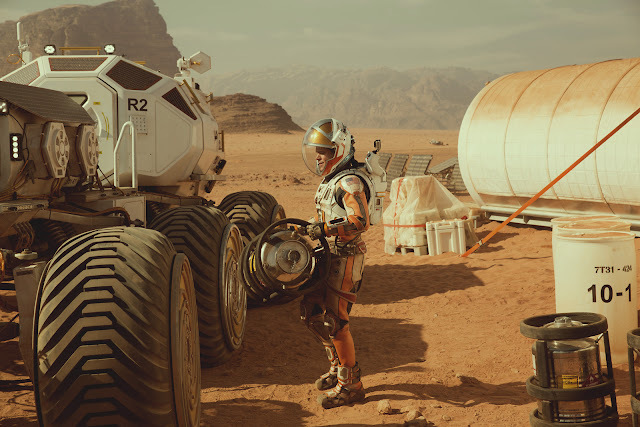 Unlike any humour previously seen in the sci-fi genre, The Martian maintains an ever-present comedic feel despite the seriousness of it's subject matter along side a disco-inspired soundtrack. Whilst it is a sci-fi piece, something Scott has always executed with perfection, it centers itself more as a character study of Matt Damon's character, Watney told through a blend of steady cam shots and intimate close ups. 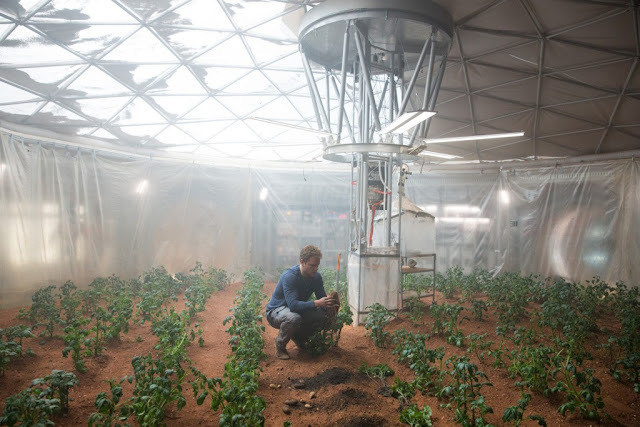 Stranded alone on a deadly planet and with little resources, Watney could easily give up the will to live but instead focuses on how he's going to survive on Mars, possibly for up to five years before NASA can reach him. Despite some intense trials and tribulations, he upholds a cocky yet charming attitude, sometimes even when he truly thinks it may be the end. Damon, in turn, delivers an excellent and believable performance as Mark though is never fully given the opportunity to convey true desperation or devastation. Whilst there are plenty of scenes to get those tear ducts going, there are no truly powerful moments to break your heart such as those seen in Christopher Nolan's Interstellar. Having said that, it is a refreshing narrative that is not plagued with over the top sentimental value. Watney, unlike many other examples from the genre, has no family other than his parents. This sentiment instead comes from other, smaller roles of the crew such as Michael Pena and Jessica Chastain who we know have families waiting for them back on Earth. This perfect balance of humour vs. sentiment makes for an incredibly enjoyable clean sailing narrative. Whilst it could be said to have needed slightly more conflict, the finale is an intense and heart-pounding experience that more than compensates for this along side stunning cinematography which keeps audiences transfixed throughout. In true Scott style, each scene is visually stunning. Having seen it in 3D, it certainly adds a depth of field and little added excitement although the story more than speaks for itself. The performances by a phenomenal cast are brilliant though slightly underwritten. 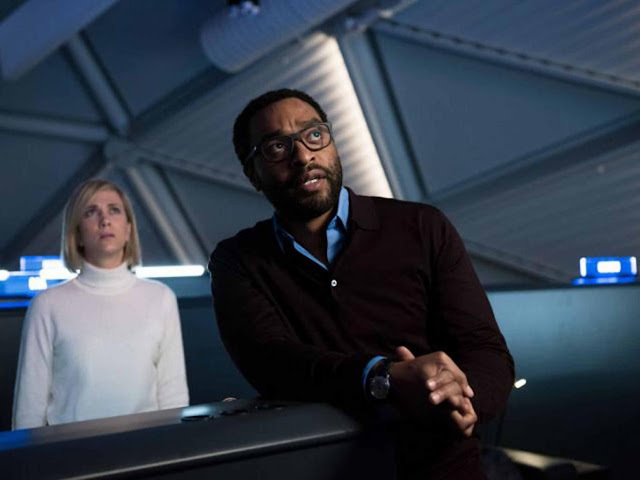 The film features several big names and Oscar nominees/winners including Chiwetel Ejiofor, Kristen Wiig, Sean Bean and of course Chastain, yet in some scenes it feels they do not have masses to work with as so many characters take up our screen time. Overall the film is a true Scott triumph. 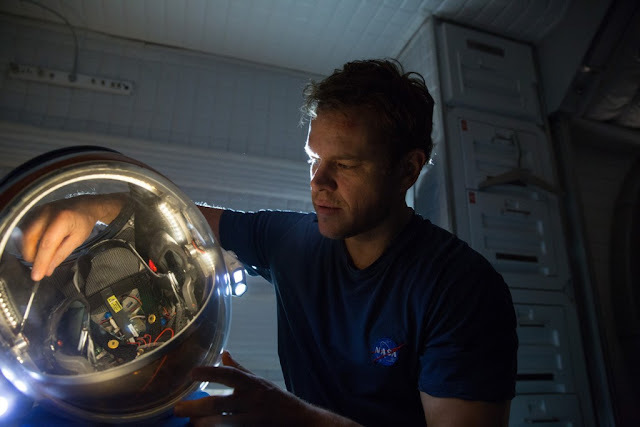 The Martian gets a Sophie star rating of 4 out of 5 stars - outstanding. Have you seen The Martian yet? What did you think? I strongly recommend you all to go see this, especially with Oscar season in full swing now. Jack treated me to a day out seeing this followed by an amazing dinner for our two year anniversary and I could not have been happier. As always, I love reading your comments below so please do leave them below. Oh I really loved this movie although I wonder why Matt Damon seems to be in a habit of getting stranded on deserted planets :) I find it funny that Jessica Chastain was in this movie with him also considering what happened in Interstellar. I loved hearing David Bowie's Starman in the soundtrack. 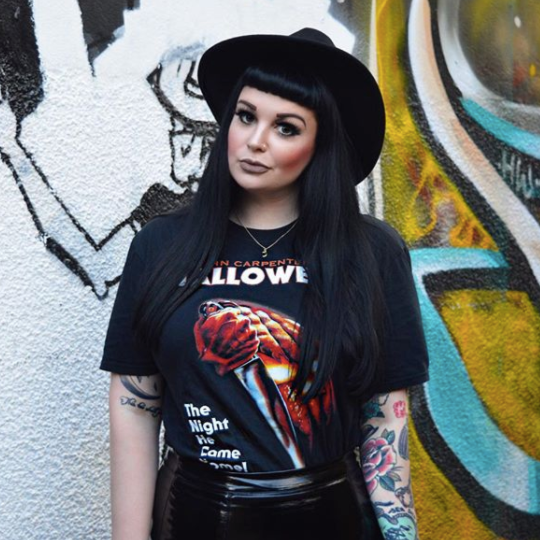 Great review, Sophie!